Today let’s meet Violeta and Jutka… famously known as the English Sisters, working from La bella Italia. The English sisters can be contact on LinkedIn or Facebook, or you can follow them up on that birdy thing called twitter, without forgetting their home site…. even better, you can hear them at the Sara Ellis Show at Untangled FM or on ‘Where is your heart?‘ radio show by Phil Cartwright. They are busy bees, and I’m glad they stopped by for that small chat with me. The English Sisters: Through a friend at a wine tasting evening in Italy near Frascati who introduced us to new friends who started talking about the importance of body language and non verbal communication. They mentioned they had learnt all this at an NLP seminar and we were so excited and curious that we went to find out more. The English Sisters: We are qualified in the Theory and Principles of Indirect Hypnosis, Ericksonian Psychotherapy and NLP with Stephen Brooks of British Hypnosis Research. We have also attended some seminar with Richard Bandler and John La Valle’s. The English Sisters: We love how language affects the brain and how it affects our neurology. The words we use in our internal dialogue and those we use with others are ever so important and really do make the difference that makes the difference to the quality of our lives <smile>. We are also fascinated with learning through modeling excellence and how when applied to one’s own life and that of our clients it brings about extraordinary changes. T4g: Tell us about integrating NLP with language teaching? The English Sisters: We wanted to use our NLP and hypnosis skills in an innovative way so we incorporated them into our online course. NLP and language patterns are part of our daily English lesson. Students absorb these language patterns and embedded commands at an unconscious level whilst reading the motivational lessons and listening to the audio file. We use NLP to coach our students day by day thus improving their English and the quality of their lives as they learn new tools which they can use in their every day lives leaving them motivated and inspired. This lead us to having our first book Don’t Learn English Smile published with the foreward by Kathleen LaValle, the first woman in Italy to have founded an NLP coaching school certified by Richard Bandler and the Society of NLP. T4g: How is NLP present in Italy? The English Sisters: There is a strong presence of NLP in Italy. There is an NLP Italy Coaching School which collaborates directly with Richard Bandler, who actually comes to Rome every year to hold a three day seminar event. The English Sisters: We meet other NLP practitioners online everyday. We are collaborating at the present moment with Carol Robertson who has over 30 years experience in the field of NLP and personal trainings. We have created our own series of recorded Skype interviews which we have named Chat-views™ partly to meet NLP practitioners from all over the world and mainly to share the expertise with our network. So far we have been extremely fortunate and interviewed many of the top leading experts, like Jonathan Altfeld, Barbara Stepp, Michael Perez, Kate Benson the director for the Society of Education for NLP. Check out our channel, Hypnoramblings <smile>. The English Sisters: We welcome any research on NLP. We believe NLP should be part of everyday life and children should learn NLP at a very early age. A lot of the processes in NLP come naturally, however being aware of them is what we find incredibly empowering and helpful. The English Sisters: At the moment we are exploring NLP and it’s applications with Carol Robertson on our series of videos, we call chat-installations™. This is very exciting and ground breaking as whilst we explore these concepts our viewers can enjoy the journey with us and learn valuable tools that NLP provides. The English Sisters: Our passion for NLP and Hypnosis is ongoing for us. It is a life long journey. We are great believers in sharing what we have learnt with others and thanks social media makes sharing so easy now. We have written several books, in particular Entrancing Tales for Change with Hypnosis and NLP a book that has been purchased by many NLP Practitioners worldwide who are using metaphoric tales in their trainings. We are delighted to be working on the sequel just now. And of course we have our children’s book The Little Sparrow and the Chimney Pot which is based on the NLP presupposition “There is no failure only feedback. 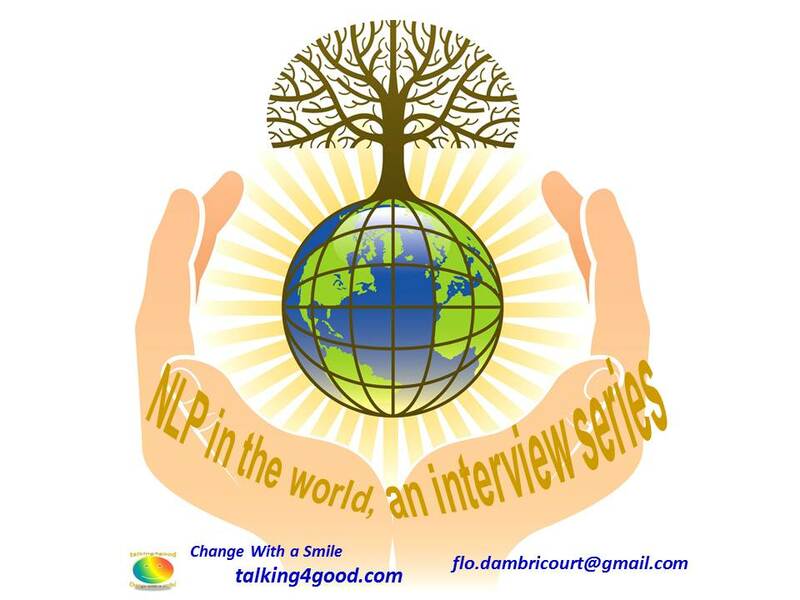 We look forward to organizing workshops and seminars in the near future, let’s keep spread the words of NLP <smile>. Previous postDon’t become a busy fool! Effectiveness or efficiency? ask your coach!